Want to make a first course impression with incredible flavor? Then have a seat, I’ve got just the thing. 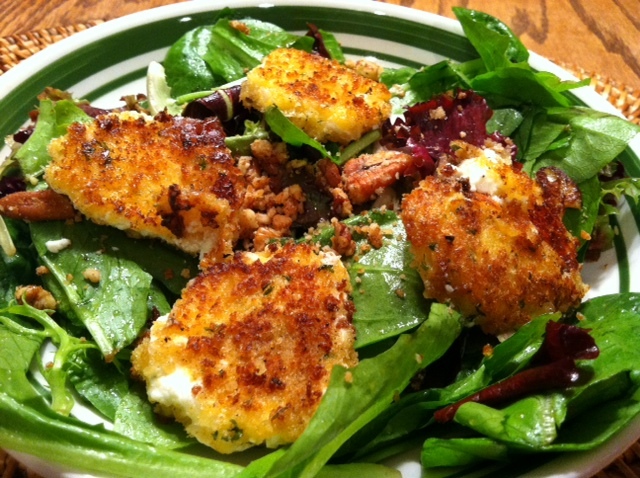 This Fried Goat Cheese Salad with Fig Jam Vinaigrette is a crowd pleaser. With the creamy goat cheese, the sweet vinaigrette and the mild shallot flavor it is a treat but still satisfies the picky eater. I made it as part of our Christmas dinner and everyone enjoyed it. 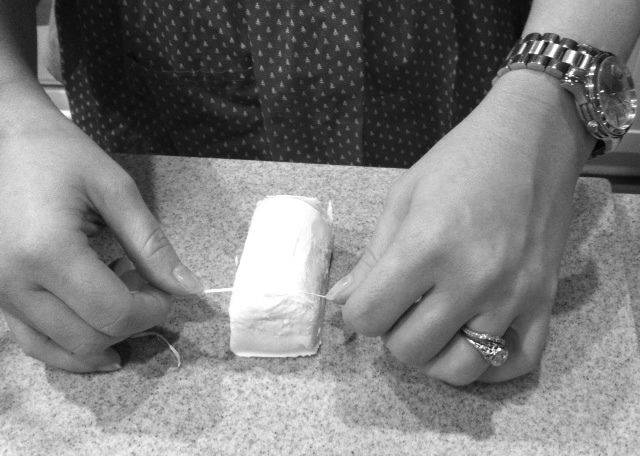 Slicing goat cheese can get very sticky Dental floss cuts easily and delicately through the goat cheese so you can get 8 discs of cheese out of each log. Just hold it tightly in two both hands and press down. 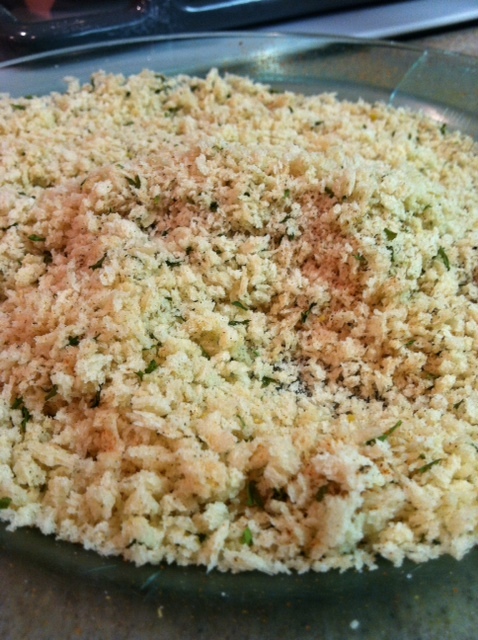 Panko bread crumbs help give the crispiness to this cheese. 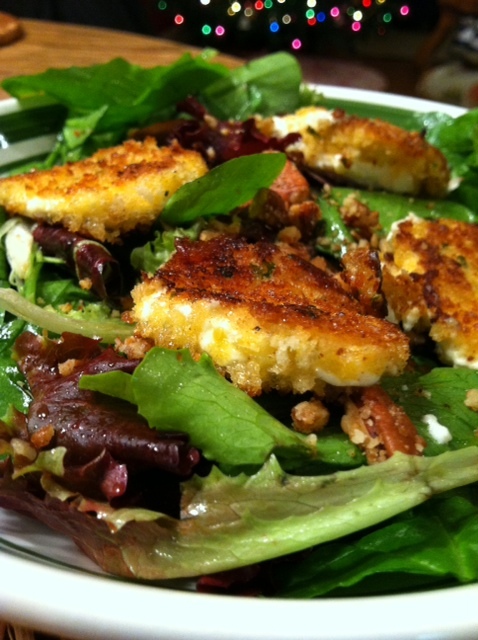 The cayenne pepper in the breadcrumb mix adds a little zing to go with the sweetness of the dressing. Cooking these while they are very cold and the pan is very hot, helps keep them together. A little dressing goes a long way and coats the greens. 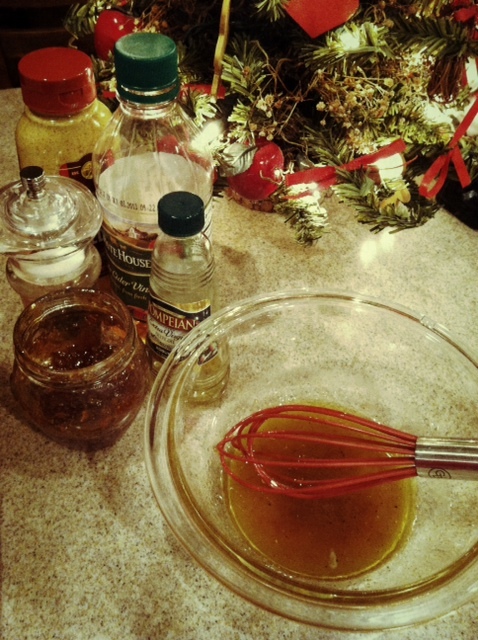 In a bowl, whisk together vinegar, mustard, shallot and jam. Stream in olive oil and set aside. Season with salt and freshly ground pepper. 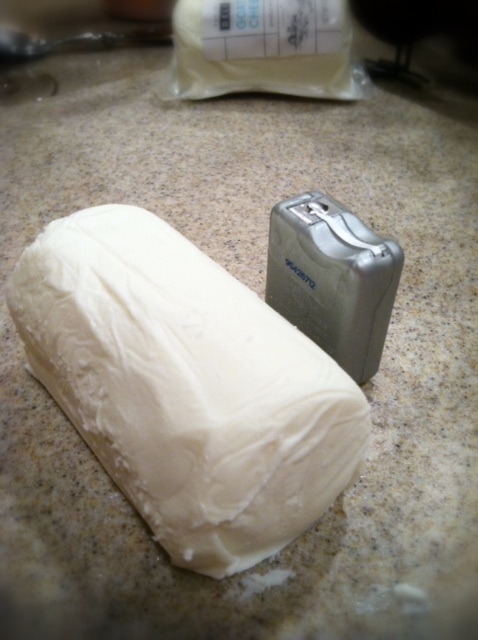 Using a piece of dental floss, divide each goat cheese log into 8 discs (16 total . Lay pieces on a plate lined with wax paper. Put in fridge until ready to coat. Mix together panko and cayenne pepper on a plate. Season with salt and pepper. 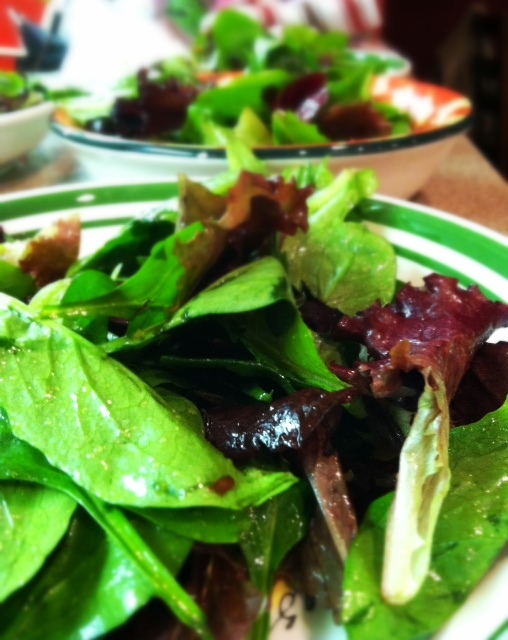 In a large bowl, pour dressing over spring mix. Divide mix among 4 plates. Heat oil in a large skillet over medium heat. When oil is hot, remove discs from the fridge. 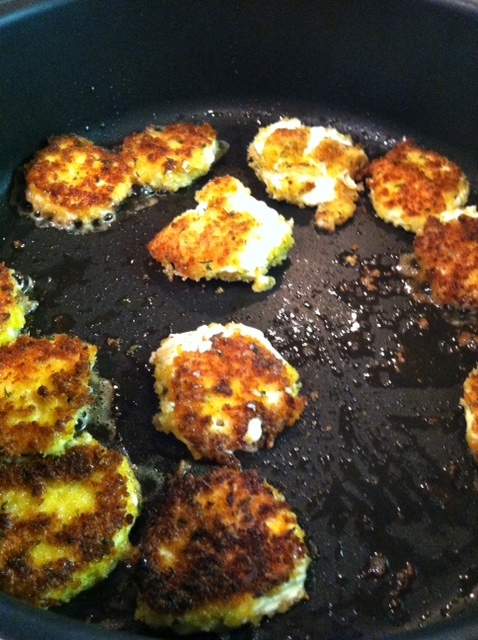 Dip each disc into the egg and then into the the panko. Place immediately in pan. Repeat. Fry each disc about 2 minutes per side. Top plated lettuce with 4 discs of fried goat cheese. Sprinkle with pecans.